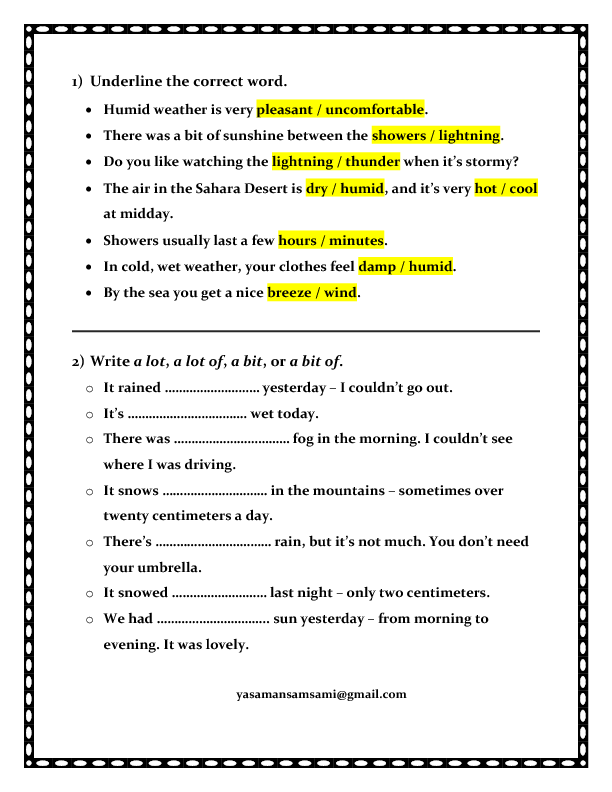 This is a worksheet for practicing different types of weather. 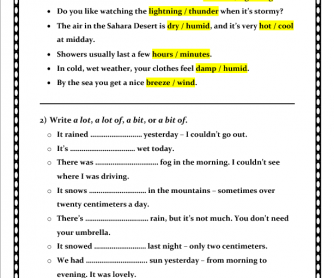 It includes two activities and it is designed for both elementary and pre-intermediate levels. Hope it works well!